We are an outpatient substance abuse provider and recovery residence whose primary goal is to teach, model and provide an environment to promote recovery from addiction. Nextep is a certified recovery residence in Southwest FL. Nextep is a level III & level IV - recovery residence through FARR (Florida Association of Recovery Residences) and NARR (National Alliance of Recovery Residences). Our licensed and certified addiction therapists have a combined 120 years of clinical experience and a shared passion for helping you achieve and maintain your recovery. All counselors must abide by the relevant Code of Ethics for their own profession, i.e. Licensed Mental Health Counselor, Substance Abuse Counselor to include but not be limited to the NAADAC Code of Ethics. Several staff, including a fully licensed medical director, carry out duties designed to support your treatment, make your visits comfortable and convenient while meeting professional and regulatory requirements. You will be asked questions about the nature of your problem including duration, frequency and severity of symptoms, and an assessment is made based on a professional evaluation. Nextep's primary vision is to teach and promote long term recovery from the disease of addiction. We envision the day when every recovering addict and alcoholic in need of extended treatment and support can avail themselves of our type of services. Our mission at Nextep, is to provide a nurturing recovery environment and to help teach our clients the necessary skills to maintain recovery from active addiction. Our communities are conducive for developing a personalized plan for recovery to gain self-confidence, build and maintain family relationships, acquire stable employment and return to life with an entirely new lifestyle and approach to living. We take a goal-oriented approach to healing. Whatever your goals might be we want to help you achieve them. Robert Raab is the Program Director for the Nextep. Robert has been working diligently to meet the growing needs for quality transitional living in SWFL. Robert has a passion to help the people whose lives are being destroyed by the disease of addiction. Robert has been dedicated in his efforts to learn, live and teach the principles of recovery to the newly recovering addict. He combines both life experience and education to empathize and teach the residents how to live a happy and contented life without using substances. Robert works with the residents to restore their family relationships, which are so important to sustain recovery for the individual. 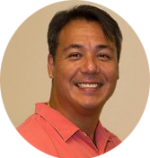 Robert is a MCAP (Masters Certified Addiction Professional), an ICADC (Internationally Certified Alcohol and Drug Counselor), and a CRRA (Certified Recovery Residence Administrator). Robert is also a member of NAADAC (National Association for Alcohol and Drug Abuse Counselors), a board member for the Florida Association of Recovery Residences (FARR), a board member for the Lee County Coalition for a Drug-Free SWFL, and an Associate Member of the American Society of Addiction Medicine (ASAM). 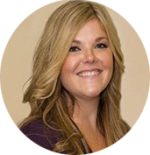 Andrea Raab is the Program Supervisor of Nextep and a CRRA (Certified Recovery Residence Administrator). Andrea helps to provide the women of SWFL with a quality environment to learn, heal, and grow. Andrea teaches the women to be independent and empowers them to break the cycle of addiction and co-dependency. Andrea works with the women and their families to foster and rebuild their relationships with their families and children. Andrea is an exceptional example for women in recovery. She lives and breathes the principles of integrity, independence, honesty, hope, and commitment. Andrea is the liaison of Nextep and works with the residents of Lee County Jail in hopes of lowering rates of recidivism by providing a structured environment for the new person on their road to recovery. In my capacity as an addictions counselor, I have been blessed with an opportunity to help those that are suffering through and fighting the disease of addiction. One of the most rewarding aspects of working with these individuals is to see the process of change that occurs. To be able to help these individuals who are just beginning to rebuild their lives through the process of recovery is a gift. As a counselor, I have a unique opportunity to be of service in the lives of those that seek a new way of life through recovery. To be able to have a small role in planting the seed that grows into one's recovery is a blessing, one that I truly cherish. I have a strong sense of empathy for those that are trying to change their lives, and I work to help them do so. 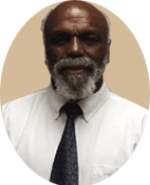 Ronald Saberton is the Clinical Director of Nextep. Ronald has been helping people to recover from addictions for several decades. Ronald has a desire to help empower individuals whose lives and families have been destroyed by the disease of addiction. Addiction is treatable but not curable. Ronald feels that new skills, values and knowledge make for a happier and more productive life. The true reward from this work comes from the feeling of being helpful and useful. I would like to help people achieve recovery for themselves because it can be learned. Josh received his medical degree from Ohio State University. He finished his residency at Ohio State in 2004. He joined our staff in February, 2017, and has over ten years of experience in the field of Addiction Psychiatry and is Board Certified in Psychiatry. He is very interested in the integration of medication and psychotherapy. He is Suboxone certified and is licensed in Florida and Ohio. I have been working for over a decade in the counseling profession and continue to engage in an educational process to keep my skills and insight keen and ability to assist others at an optimum. As a Person-centered therapist I strive to provide therapeutic interactions that inspire the client to develop a sense of personal responsibility for their recovery. Through the combination of personal experience and education I have come to understand the need for the client to have an honest understanding and acceptance of the disease of addiction and the need for them to accept that it is their personal responsibility to make the right choices in order to recover. I personally believe the recovery residence system provides an environment in which the client has a built-in support system that can provide them with the opportunity to develop a strong foundation in recovery to promote future life success. 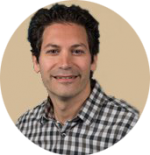 Phil is an LMHC (Licensed Mental Health Counselor), and MCAP (Masters Certified Addictions Professional), and currently a PhD Candidate in Human Behavioral Studies. Phil is a member of the FCA (Florida Counseling Association) and Chi Sigma Iota (Counseling Academic and Professional Honor Society International). Nextep is about recovery from the disease of addiction. We are an outpatient substance abuse provider and a six-month supportive living environment designed to bridge the gap from early recovery to independent living. We have 11 locations all conveniently located by local bus routes and 12-step meetings. Our program is based on 12-step principles and guidelines and supervised by professional staff and peers. We serve 63 men and 35 women. Our goal is to teach and empower the recovering individual to internalize healthy living skills that can be utilized over the course of a lifetime. For individuals trapped in a world of substance abuse, life can seem desperate. At Nextep, we believe chances for long-term recovery increase dramatically with support from professionals and peers in an established community. At Nextep, we provide a fostering, compassionate environment where long-term healing is the primary focus. Integrity - to deal honestly and above reproach with our residents, employees, the professional community and the public. Responsibility - to accept and maintain accountability for the welfare and anticipated long-term recovery of residents while in our care. Value - to offer the highest level of on-site support to recently recovering individuals with drug and alcohol dependencies. As a result of the quality of the services provided at Nextep and the expertise of its clinical staff, we partner with Florida Gulf Coast University and Florida SouthWestern State College intern programs.